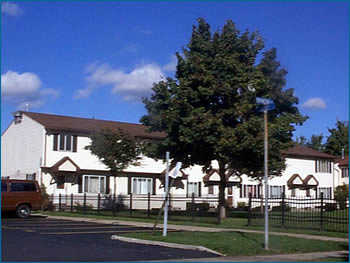 Welcome to Bronson Court Townhouses! Located adjacent to the historic Cornhill district, city living couldn't be more desirable! Our spacious homes here are the perfect setting for families with children. Come see if it is the right place for you to call home! Spacious two and three bedroom townhouses. Convenient to RTS bus stops. Full basement with washer and dryer hook up. Walking distance to Community Center, schools, playground, library and convenience store.